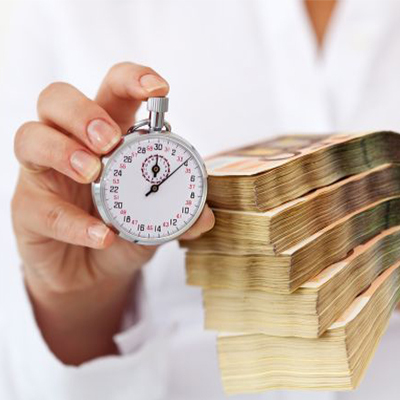 It is not uncommon for an entrepreneur to seek financial support for their venture at various points in time. After factoring in all the costs and associated risk, taking out a business loan is an understandable step towards advancing the business. However, many entrepreneurs are uncertain about how to prepare themselves to successfully get approved for a loan. Biruwa Advisors has been providing financial advisory services to a number of startups facing this question. Based on our experience, the following steps can be followed to ease the loan application process. In order to get a business loan, the entrepreneur should begin by assessing their need for funding. Since lenders inquire about the reason for borrowing funds, it is imperative to have a clear and concise idea about the loan amount and the areas where the acquired funds will be utilized. This also allows entrepreneurs to determine the type of loan best suited to their requirements and provide concrete loan request details to the bank. It is important to consider whether the funds will be used in order to finance fixed assets such as property, equipment, software, etc or to meet day-to-day expenses, which may include HR costs, administrative costs, licensing fees, etc. The fund utilization details are generally incorporated into the business plan. The assessment of need should be followed by identifying possible sources of the business loan. In terms of convenience and the lower rate of interest, commercial banks are an apparent preference. Most banks usually have provisions for business loans to SMEs that have been in operation for at least two years. However, funding for new ideas is challenging and commercial banks are reluctant to lend to new startups due to lack of collateral and the high perceived risk associated. Nevertheless, Laxmi Bank’s “Sana Byawasayi Karja”, Global IME Bank’s “Global Small business loan”, Himalayan Bank Limited’s “Small Personal Business Loan”, etc. are few examples of banking initiatives that provide funding to new businesses with or without collateral. Apart from commercial banks, there are other financial institutions such as Development Banks and Finance Companies that can meet an entrepreneur’s funding needs. Similarly, most Micro Finance Institutions (MFI) provides business loans to individual entrepreneurs up to 5 lakhs with collateral and up to 3 lakhs without collateral in multiple areas within and outside Kathmandu valley. Once the source and the type of loan required are determined, two or three similar options based on the interest rates, minimum and maximum loan amount provided and terms of borrowing should be compared. The next step is to analyze the eligibility requirements to ensure the entrepreneur qualifies for the business loan. Generally, banks consider factors such as the age of the loan applicant, nationality, business’ income and turnover as well as collateral to evaluate the ability to repay the loan. The entrepreneur should also consider their payback plan including details about the sources of revenue, revenue model and flow of funds. The payback plan should be elaborated within the business plan. Of the loans the entrepreneur qualifies for, the one with the lowest interest rates or the one with the most suitable terms of borrowing should be selected. Once eligibility requirements are fulfilled and the necessary documents are collected, the entrepreneur can approach the bank for a business loan. Nepal Rastra Bank (NRB) has raised the lending requirement to 25% for commercial banks towards “productive sectors” that encompasses hydropower, agriculture, tourism, export, small and medium industries, pharmaceuticals, cement, and garments. The updated monetary policy requires commercial banks to allocate 10% of total lending in agriculture, 5% in hydropower, 5% in tourism and remaining 5% in other sectors. Entrepreneurs with their businesses in these sectors can benefit from this policy and increase their chances of getting approved for a loan through commercial banks.